‘Blue’ is the twelfth and final feature film by director Derek Jarman, released four months before his death from AIDS-related complications. These complications had already rendered him partially blind at the time of the film’s release. Today we will screen this special film in the Avantgardistic State.  The film was his last testament as a film-maker, and consists of a single shot of saturated blue colour filling the screen, as background to a soundtrack where Jarman’s and some of his favourite actors’ narration describes his life and vision.